Home / Financial Services/ PayPal entrance bleak for Sri Lanka? PayPal entrance bleak for Sri Lanka? The local business community will have to muster patience further as PayPal, the giant in the online payment sphere, perceives Sri Lanka to be ‘too small to enter’ and as a result doesn’t depict an attractive profitability ratio for the company, a top Minister said. However, in a to bid to fill the vacuum for a digital payment gateway, Telecommunications and Digital Infrastructure Minister Harin Fernando said that Stripe, a rapidly-growing newbie providing very similar functions, has shown interest in kicking off operations in the country soon. Noting that during his visit to the Silicone Valley he got an opportunity to have fruitful discussions with Stripe, a five billion dollar net worth company which has garnered fast-paced success, he said that they even managed to get a slot for a meeting with PayPal heads who agreed to consider drafting a proposal for Sri Lanka in 2017. “When PayPal came to Sri Lanka a few years back, they didn’t like how the macro environment worked so they went back. Now they are huge and our market is too small for them as a sample. Stripe is an aspiring and innovative new company which is planning on entering this region while we are the first country they’re looking at in this region. Therefore we don’t want to make the same mistake of waiting too long till Stripe gets too big and loses interest in Sri Lanka,” Fernando said at the ‘Meet the Minister’ business meeting organised by the National Chamber of Commerce. Stripe has handed over a proposal that has subsequently been submitted to the Central Bank, which is going through it. In February Central Bank Governor Arjun Mahendran noted that PayPal would enter the country only after the formulation of the new Foreign Exchange Management Act, which could take months owing to the sluggish approval processes. Responding to queries raised by the ICT business community as to why the Ministry is not taking into account local technologies which facilitate online transactions, the Minister said he did not receive such proposals. 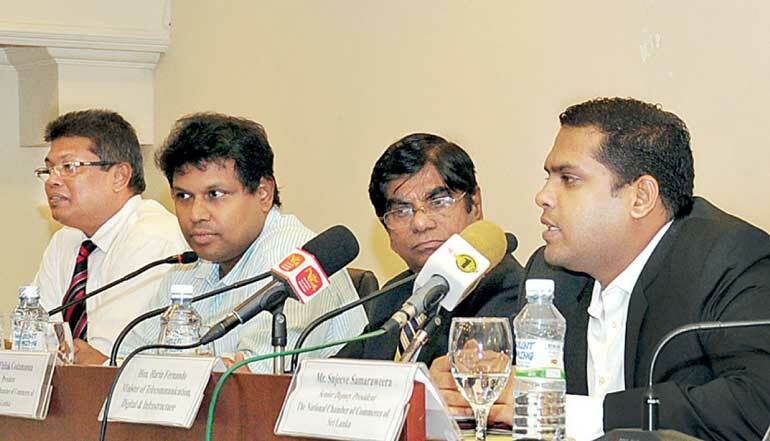 Meanwhile Information and Communication Technology Agency of Sri Lanka CEO Muhunthan Canagey said that in the international space when goods and services were being sold they needed assurance when they make payments and reputed gateways like PayPal and Stripe were the need of the hour.